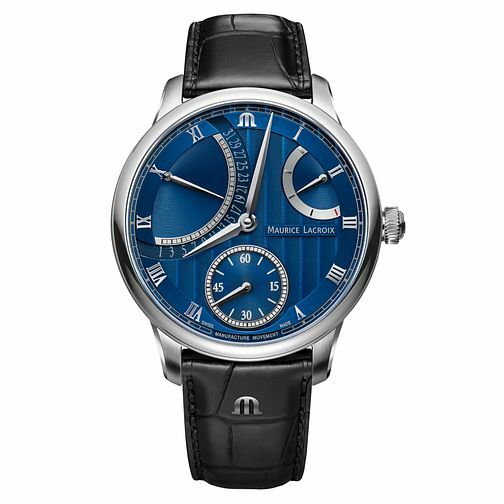 A distinctly different design, this piece by Maurice Lacroix makes the dial divided into three areas. A standard 60-second subdial is located at the 6 o' clock mark, and a calendar to help you track the month's progress. A power reserve sits in the top right area which keeps track of the power in the watch movement.